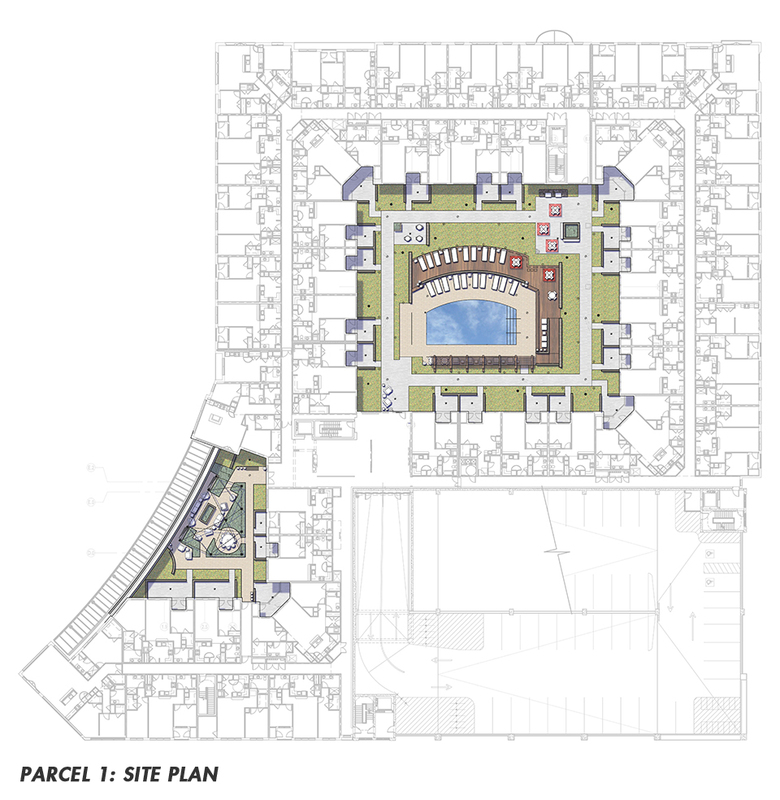 The two Assembly Row apartment buildings will have 448 rental units, and at 470,000 square feet, the project is one of the largest residential real estate projects now under construction in the Boston area. 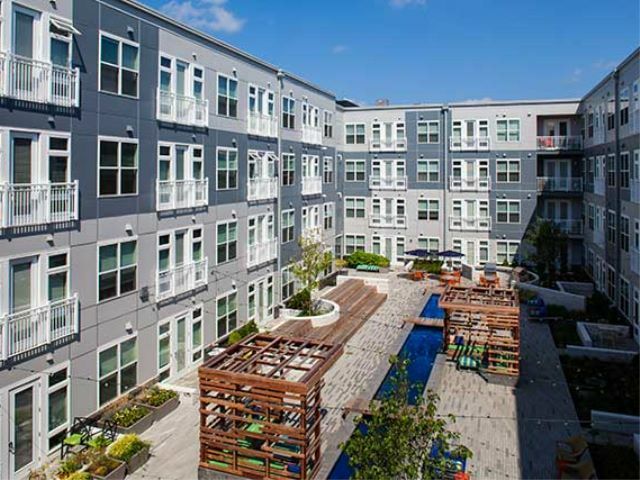 Assembly Square is located along and to the west of the Mystic River bordered by Charlestown to the south and the Somerville neighborhood of Ten Hills to the North. 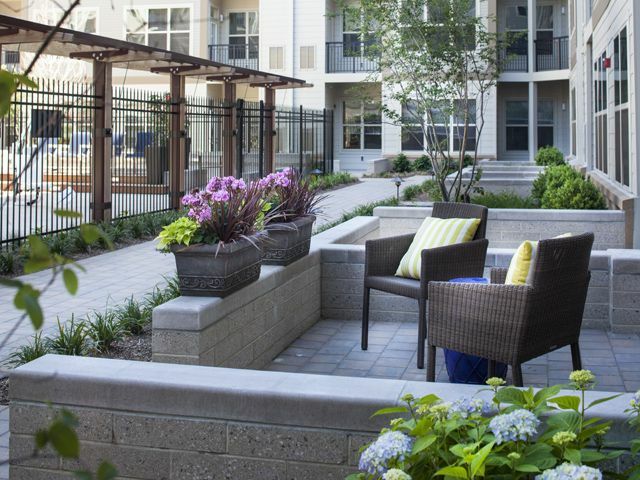 The district’s western border runs along Interstate 93. 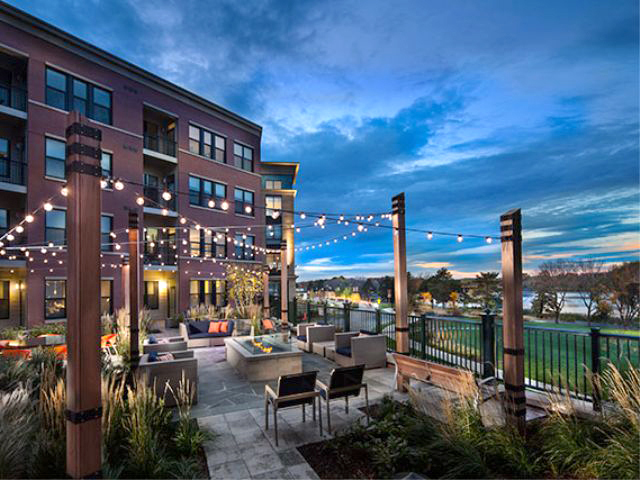 This unique neighborhood district is named after the Ford Motor assembly plant that opened in 1926 and was an important employer in the Boston Metropolitan Area, particularly during World War II. 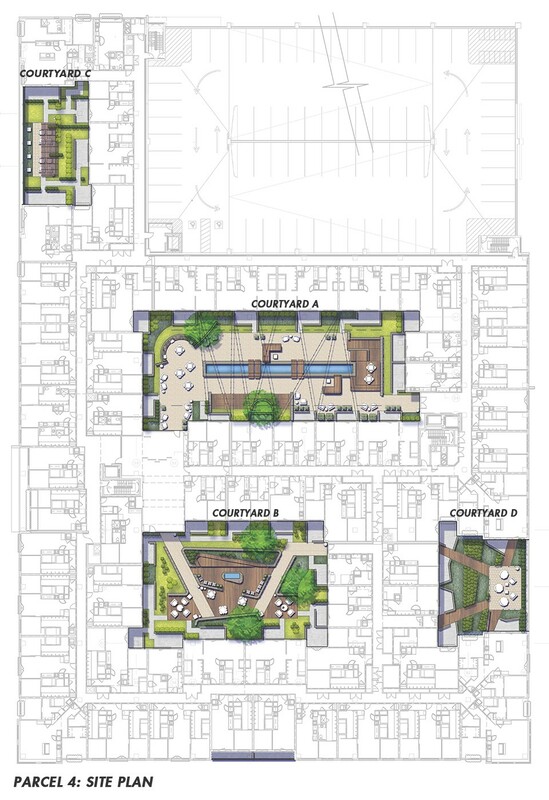 As currently master planned, 56.2 acres of this former industrial land are being converted into a mixed use, transit oriented neighborhood, permitted to create 1.75 million square feet of new office space, 852,000 square feet of retail, an up to 200-room hotel, and 2,100 new residential units. 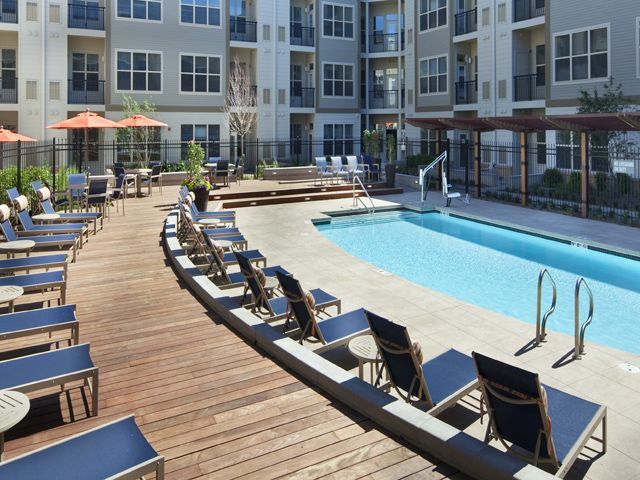 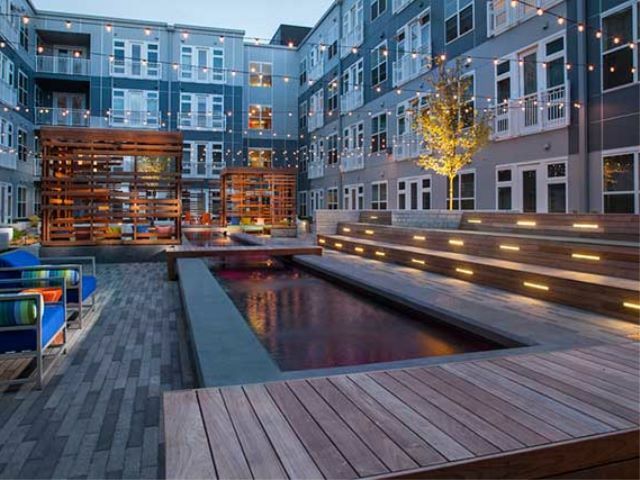 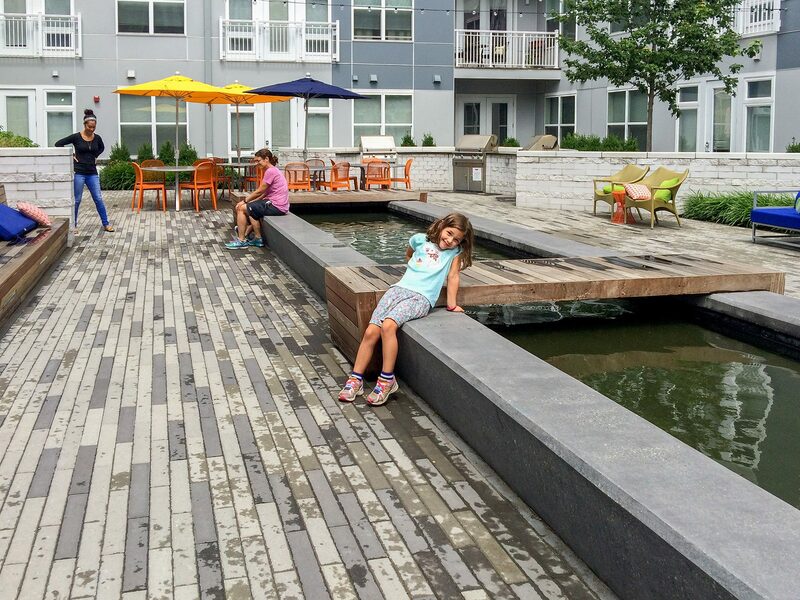 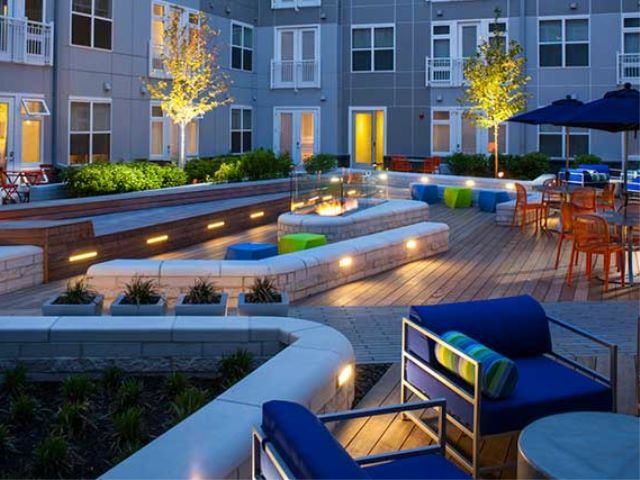 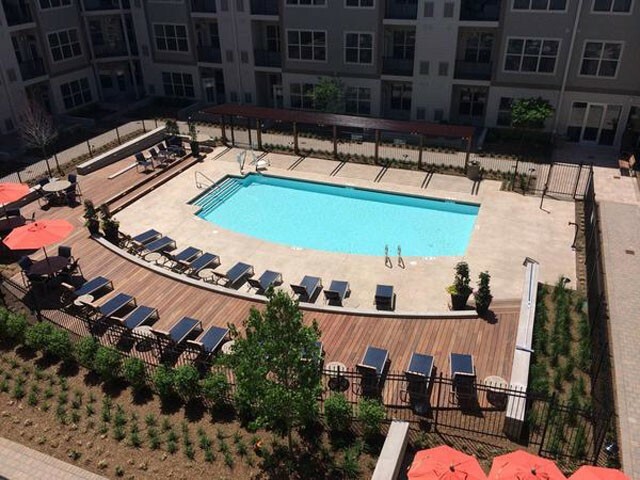 CRJA-IBI Group recently completed construction on two courtyards within Parcel 1, and four courtyards in Parcel 4 of the Assembly Row Apartments. 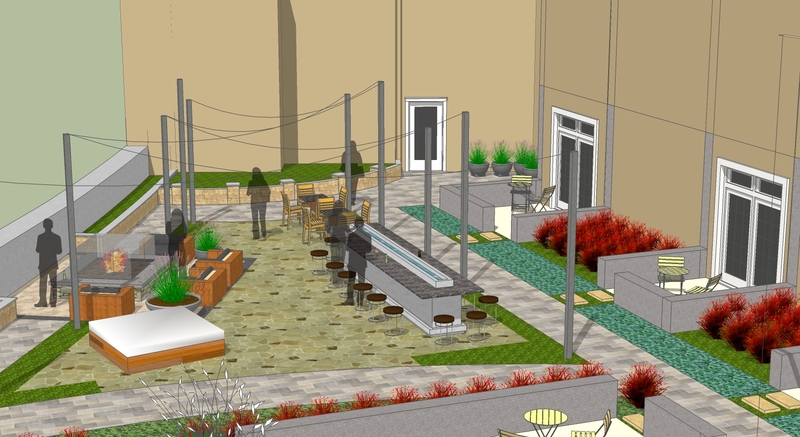 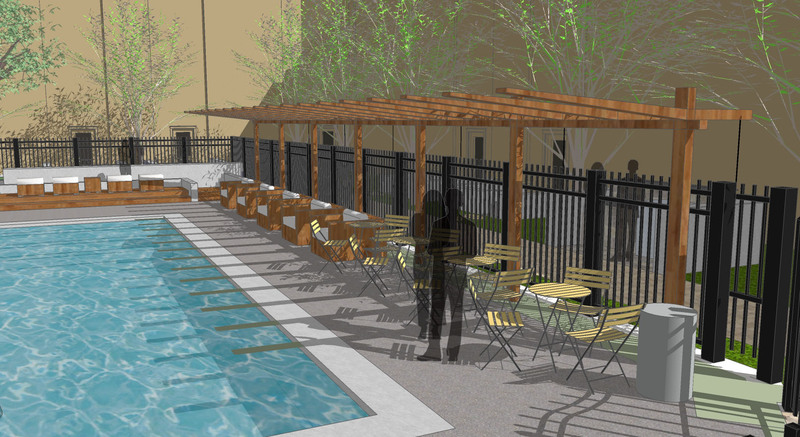 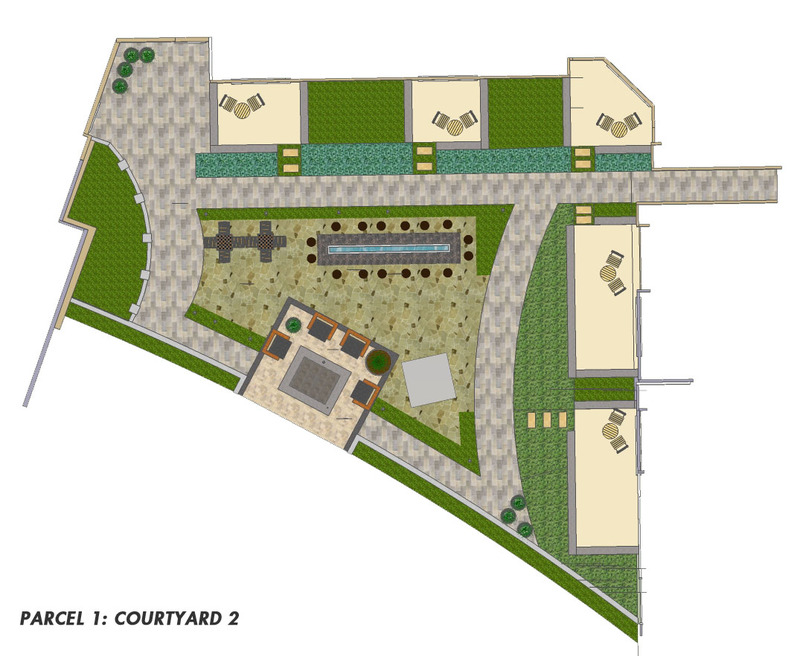 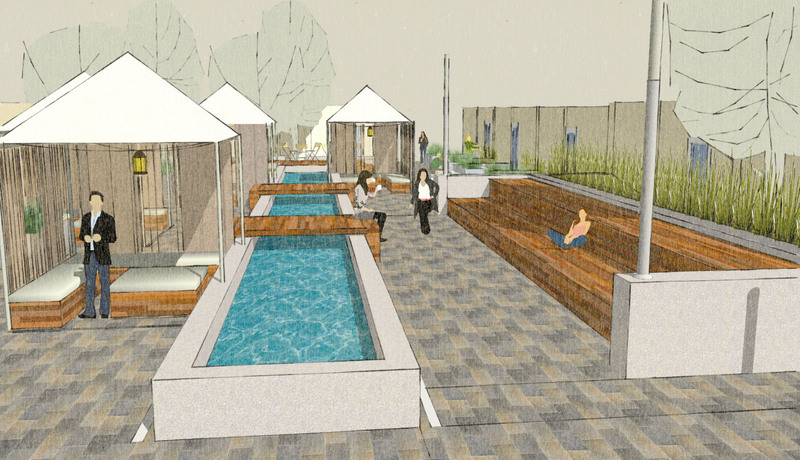 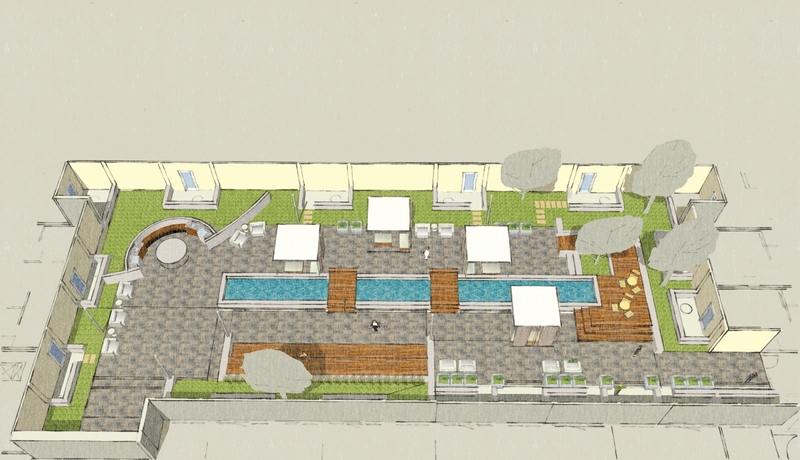 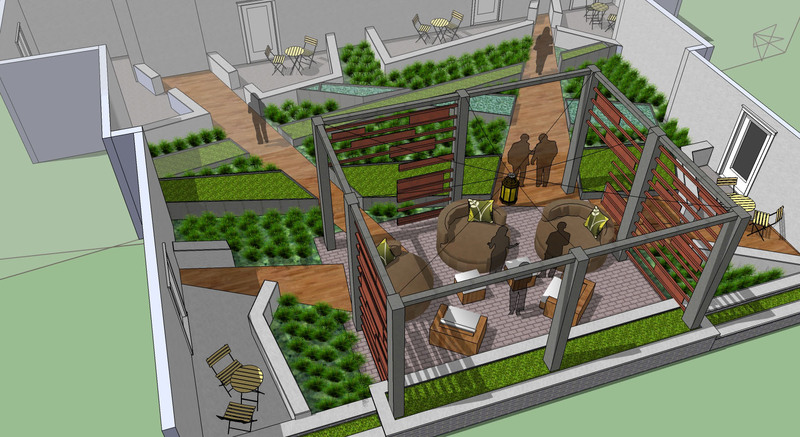 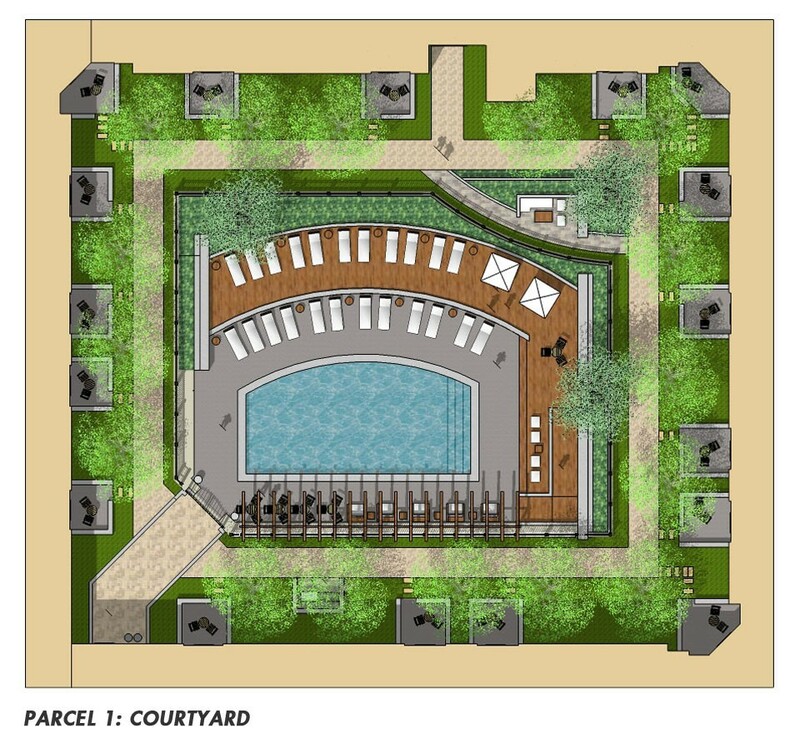 Planned improvements include paved gathering spaces, walkways, plantings for accent and screening, private patios, and a reflecting pool with seating and adjacent fireplaces. 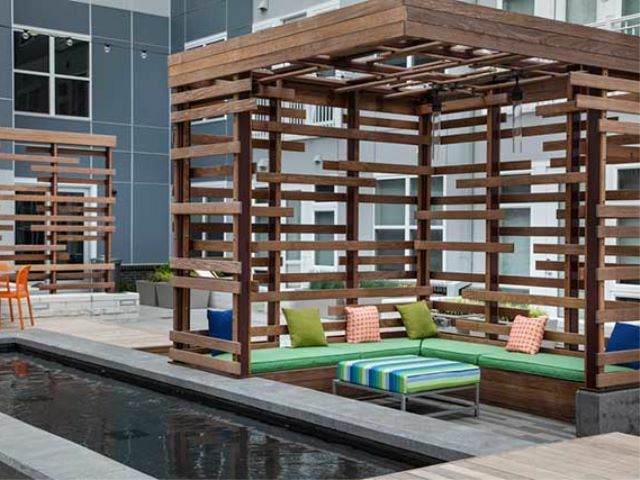 CRJA-IBI Group’s work also includes custom site furnishings and features within the courtyards and terraces, such as walls, curbing, pavements, accent lighting, and deck areas surrounding the pool.